Dougherty County, located in the southwestern portion of the U.S. state of Georgia, reportedly conducted a public hearing on Thursday to discuss about the plans regarding a new solar energy center. The plans was unanimously granted an approval recommendation by the Dougherty County Planning Commission, reports confirmed. According to knowledgeable sources, the proposed site for the solar farm is a 1,089 acre peanut field off Moultrie Road and Springflats Road to Gravel Road, behind the Mercedes Baptist Church. If approved the site will be rented to NextEra Energy, which will construct a solar farm consisting of around 525,000t photovoltaic solar panels. Steve Stengel, a NextEra spokesperson, stated that due to its cost effectiveness, solar power initiatives are not just limited to desert southwest any longer and are quickly becoming a country wide phenomenon. Stengel added that this is an extremely lucrative opportunity for the community and they hope that the county will also respond eagerly to the project. 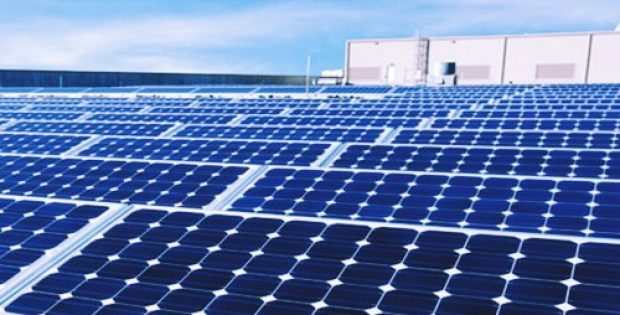 Further reports informed that the solar center will be yielding around 120 MW of energy which will be sold to Georgia Power, the driving force behind the Dougherty Country solar center development. Sources at NextEra mentioned the project as being one the largest solar energy farms in the south when completed, while its development will create close to 300 construction jobs over a 10 month period. Besides powering numerous South Georgia homes, this initiative will supposedly fetch around $10 million in tax revenue for the county. Director of Planning and Development Paul Forgey made a statement saying the tax revenue will be significantly more as compared to just a farmland or a vacant land, making the project extremely profitable for the county. If approved the construction is expected to commence in 2019’s first quarter with operations beginning by December in the same year, NextEra confirmed. A second public hearing is slated to be held the coming Monday, addressing county commissioners at the downtown Albany Government Center.